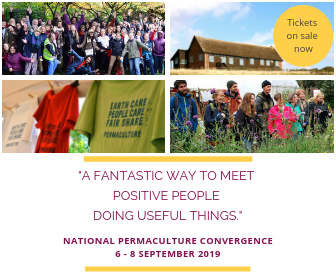 A weekend permaculture course for teachers, permaculture practitioners, parents and others to engage children in all aspects of permaculture. Composed of both indoor and outdoor sessions we will learn how to spend times with children which are child-centred and/or child-led. * We will find out how permaculture ethics and principles can be applied to education, in how we speak, the activities we engage in and in the spaces we design. * We will discover some great benefits of outdoor learning, including relevant research, and learn how to create session plans which engage the whole child: eyes, heart, hands and head, through active participation in a session learning about soil. * We will look at different garden designs both in school and home gardens and get involved in practical activity. * We will learn about the different activities that we can do with children and, more importantly, think about how the way we approach the child can enable us to think of infinite possible activities. People working with children aged 3-12 years, such as school, nursery and kindergarten teachers, as well as those working in non-formal settings such as after-school or out-of-school club leaders (e.g. scout leaders), parents (whether natural, foster, adoptive, home educators or grandparents) and others who are aware of the importance of their role in children’s education.